Great reminder. I was trained to pedal in circular motion. Think circles. Have you plateaued in your cycling speed gains? If you are pounding the pedals like you are stomping grapes, we need to work on your pedaling efficiency. 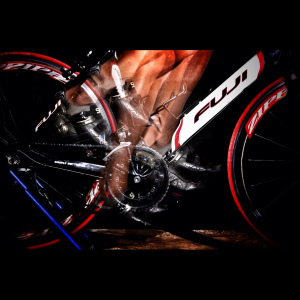 Working on your pedaling efficiency will eliminate dead spots in your pedal stroke, and increase your cycling power.